Yao Ming, the former Chinese NBA star made an appearance at the 3rd Hainan Rendez-Vous, China’s leading luxury lifestyle show that kicked off on April 5, 2012 in Sanya. 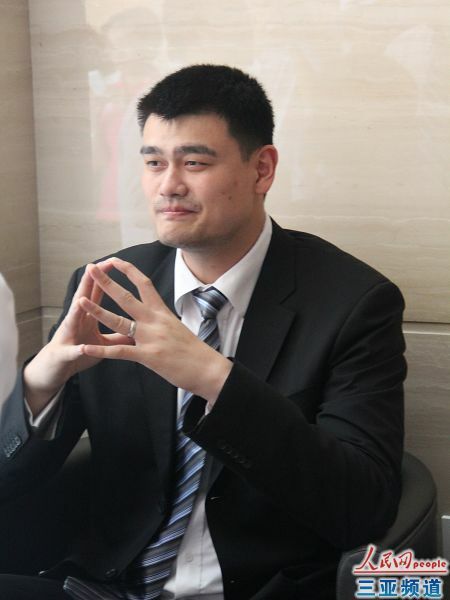 According to relevant sources, Yao’s attendance for the show is in support of his personal endorsement of wine. And the wine tasting event is going to be held at noon today. Besides, Wang Xiaofei, Taiwan actress Barbie Hsu’s husband also showed up on the exhibition. It is leant that the Zhang Zhaoyang, the founder and CEO of Sohu, a leading internet search engine company as well as the Miss Universe China 2011 Title Holder Luo Zilin (Roseline) will make their appearance at the Hainan Rendez-Vous 2012.